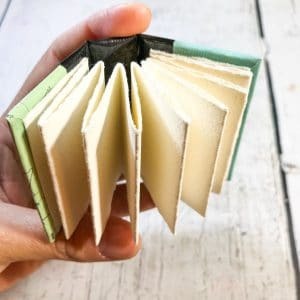 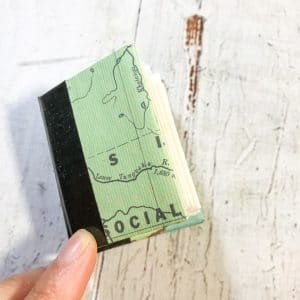 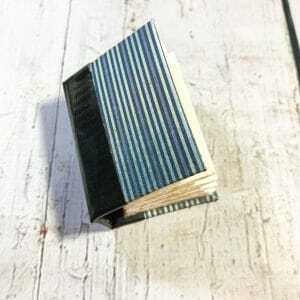 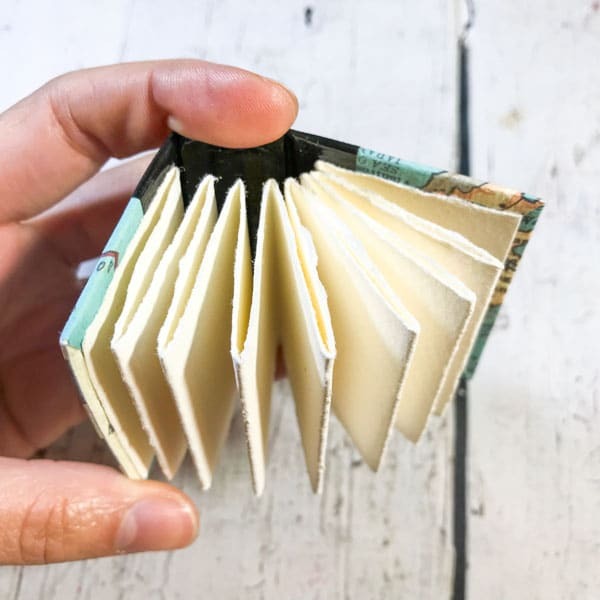 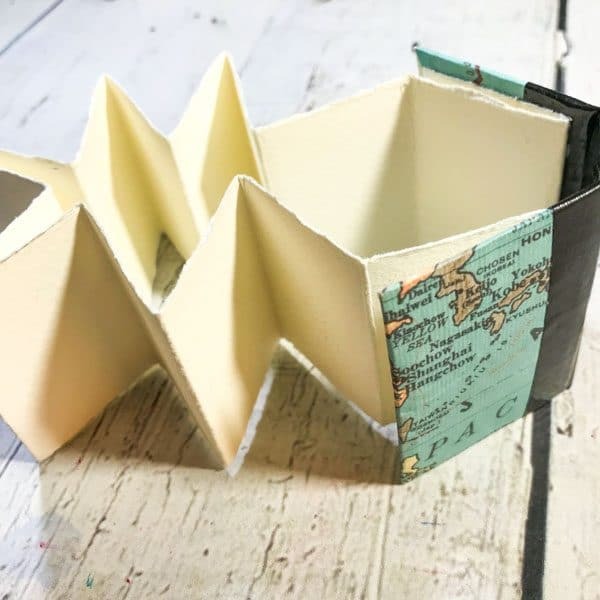 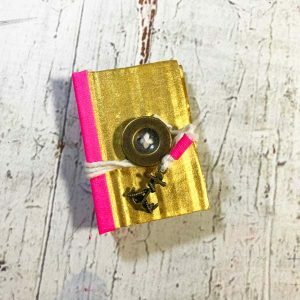 ‘Japan’ is an original handmade mini journal. 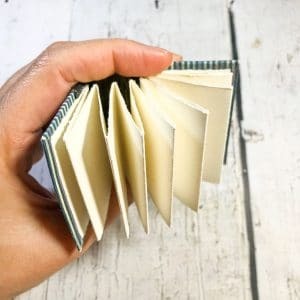 This journal is blank and ready for you to fill with your own art! 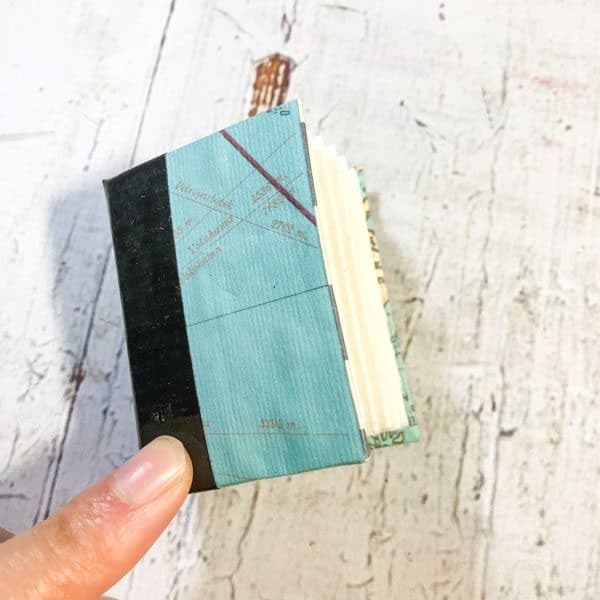 The cover is made from an old world map and shows Japan. 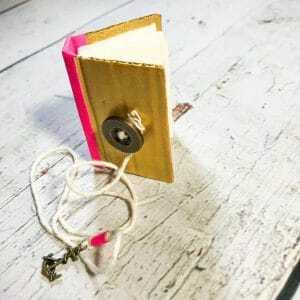 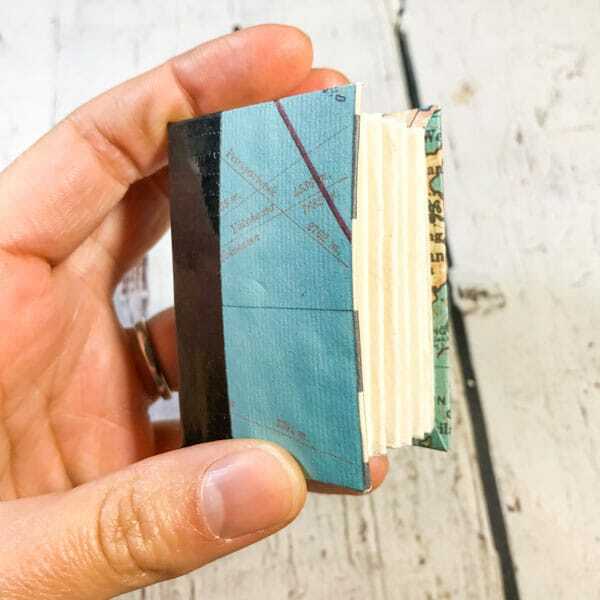 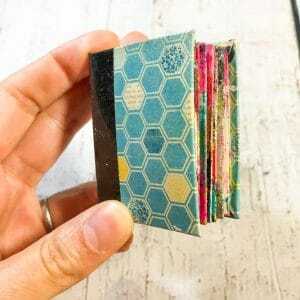 It measures approx 1¾ x 2¼ inches (4.5 x 5.5cm) on the outside, the pages inside measure 1½ x 2 inches (3.5 x 5cm). 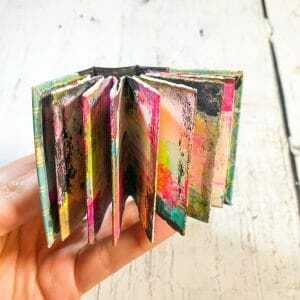 It contains 8 spreads (16 pages) of high quality cold pressed watercolour paper in 300gsm (140lb).